Bernard Preston invites you to think, laugh and relax with his books. Bernard Preston invites you to think, laugh and relax with his inspiring books. These short stories gleaned from the coalface of a chiropractor's life and work, give us fascinating glimpses into the professional world of complementary practitioners. "Complementing medicine," says he, "not complimenting them. This is the official website of chiropractor and author of six books, Bernard Preston. Here you will discover his passion for enjoying life in fine fettle, and giving real meaning to the oft spoken but largely ignored saying that prevention is better than a cure. Much of this site is about preserving our planet intact for our children's children so they won't be dancing on our graves and cursing the day this generation was born; more than any other we are bringing the world ever closer to extinction. In many ways permaculture is not just about Mother Earth but also enjoying sparkling well-being ourselves through delicious fresh food grown in our own backyards, together with plenty of exercise; turning a compost heap will challenge your body every bit as much as pumping iron at the gym, be a lot more fun, and you'll have something to show for it at the end of the day. This page was last updated by Dr Bernard Preston on 10th November, 2018. Choice foods are for those who are sick and tired of taking drugs. 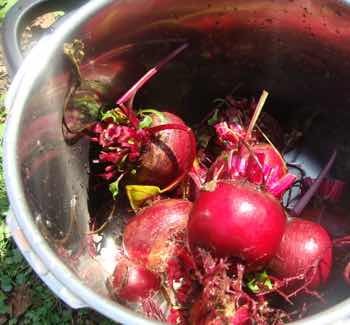 Let your food be your medicine; but that may mean becoming passionate about backyard permaculture. Bernard Preston's other passion is a love of SLOW FOOD, MADE FAST; growing yourself where possible and preparing healthy choice foods that you can rustle up in a short time. After all, if you don't look after your body, where will you live? I'm not sure where three meals a day came from but it seems to go back to the days of the Medes and Persians; that gives it some substance. When chatting to the obese, interestingly they often skip a meal; and snack in between? Staying in good kilter is my passion; you can share it. It all starts with the breakfast menu, remembering that your goal must be at least eight coloured foods every day; delicious in-season fruit must be there; right now it's mulberries every morning for us; next month it'll be plums. Here are some easy lunch recipes for the working person; time is at a premium. Yet it's not difficult to toss in a couple different kinds of lettuce, always a tomato or some other red coloured fruit for the prostate, and a couple 100% wholemeal slices of bread and butter. Yes, butter is back and should never have been banished to Coventry say the scientists. And then there are fast dinner recipes for the working woman; variety is the key, and especially focusing on those colours that the kids have been enjoying. Folate consumption is directly related to school achievement; vitamin B6 and E to arrest the development of frailty. Easy soup recipes can really simplify lunch and supper; and breakfast I suppose. For some they cause indigestion; the onions? Actually it's more likely the starch; reduce the rice, potatoes and bread at dinner and you'll have a much easier night. Since we discovered kefir benefits, my own heartburn is drastically reduced. One of the simplest, well-researched ways of losing weight is merely to extend the overnight fast. Even though you eat exactly the same food, having dinner an hour or two earlier, and enjoying breakfast rather later, will help you shed unwanted extra pounds. Eating small numerous small meals, or snacking continually does exactly the opposite. Refined carbohydrates and not fat are public enemy number one. When talking of breakfast and lunch at any rate, and for dinner for many, the staff of life is always present. Unfortunately most supermarket bread today can best be described as junk food; I was about to use a stronger word, but resisted the temptation. Made from refined flour it has a high glycemic index, and even the so-called "wholewheat breads" have much of the goodies removed which are then sold to supplement companies and pig farmers. We get left with the crap; there you are, the word slipped out. Bernard Preston is an opinionated man, you say and yes it's true; did you know that millers can remove up to 40% of wheat and still call it wholemeal? Our Panera bread menu recipe, and the low GI bread loaf are I consider amongst our most important pages; unfortunately 100% wholemeal flour is difficult to find; adding a tablespoon or two of our authentic hummus recipe will transform your baking; the vegetable protein and olive oil help lower the glycemic index and makes it light and tasty. 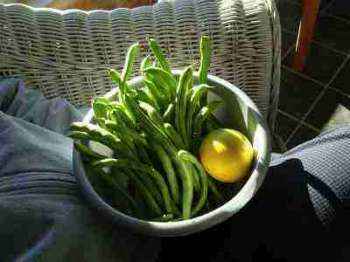 It turns it into one of the best foods that lower cholesterol, having a profound effect on the pathophysiology of atherosclerosis; that's a mouthful but one of the most popular pages at this site. Having said that, if you are prediabetic, even our low GI bread will give you an unwelcome blood sugar surge; always take a short walk after a starchy meal. There are important pages found on your left on the subject of soups and starches with many recipes. Carbohydrates are under attack in our obese world, but Bernard Preston asks whether it's chocolate cake or hummus that makes you fat, what's the difference biochemically, and we should be very careful not to throw the baby out with the bathwater. Should we be eating legumes because of their vegetable protein, or should we be avoiding them due to the complex carbohydrate they contain? Herbs and spices are for the enrichment of our food, and to turn the rather boring and unpalatable into a delight; they also have anti-inflammatory properties. Avocados and citrus are the king and queen of our orchard, unless you can grow olives too. There are many discussions at this site on the dos and don'ts of the good fats and those that should be avoided and all costs. Whilst busy in his garden Bernard Preston ponders ways to reduce cholesterol without the use of statins with their nasty side-effects. By planting and eating foods that lower LDLs he discovers that, despite his love of butter and rich dairy products, he can keep his blood cholesterol at 164 (4.2), well within the normal limits. 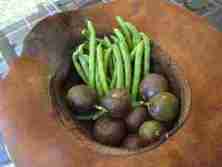 Whilst you may not have a garden like his, learn how to plant a beautiful lemon tree and how a couple pole bean seeds planted every week along a fence will keep you in fresh green legumes to reduce your reliance on red meat for protein. 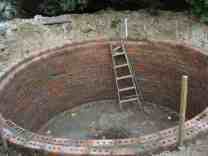 What's potting in the garden is an important part of this site. Just one bright red jalapeno plant is a delight to the eyes in the midst of your flower garden; oddly they are rich in an anti inflammatory phytochemical called capsaicin, and vitamin C.
Currently we are discovering the wonder of worm farms and working with chickens in the garden; it's all about growing great tasting fruit and vegetables unspoiled by pesticides and chemicals. Organic food, fertilized by chicken manure, your winter squash prowling along the compost pile, and then roasted in the solar electric oven are more highlights; our roasted butternut squash recipe must be one of our favourites; it's rich in beta carotenes, but beware of roasted veg if you are prediabetic; it raises the glycemic index. Research following a large group for twenty years shows that those eating about eight coloured foods each day have a 35% lower all cause of death; that's massive. Adding the power of purple foods is another step in the right direction; the common beet is your best example, and I enjoyed a dozen mulberries this morning for breakfast. Add to that some avocado fat for your nerves and a few from the citrus fruit list and you're getting close to your eight. 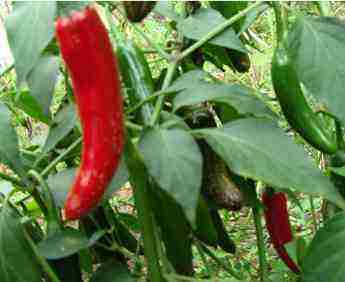 And then of course the red foods like chilis and tomatoes, so vital for that half of mankind who have a prostate gland. Permaculture is the design of a highly productive ecosystem designed to provide us with delicious food without spoiling the environment. Further Bernard Preston looks to this rainwater harvesting model for their home and garden and capturing solar power energy for electricity. 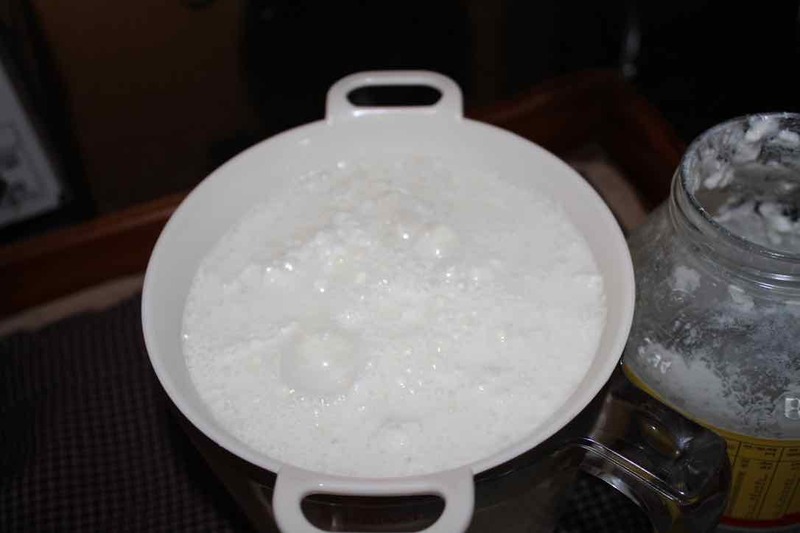 The nature of avocado fat, and its importance for nerves, and growing the trees, is thought provoking; and extending your citrus fruit list from the garden all requires organic fertiliser and plenty of water. Let your chickens, the kitchen compost bin, the worm farm and the heavens provide it all. Processing of foods by manufacturers is a serious business and a passion for Bernard Preston. No where is it more typically seen than in these orange juice facts. Take a wonder food like an orange, process it and food manufacturers give us what is nothing more than junk masquerading as something vitally good. 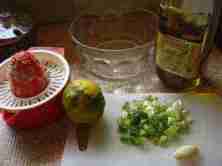 An electric press to squeeze your own citrus is a basic for every family; you must include the pulp. The same could be said for wheat, but purchasing your own grinder is an expensive business. But, if you are serious about your food, you'll consider it if you can't buy 100% whole wheat flour; the upside is that you will never again need to use vitamin E capsules and worry about your homocysteine levels; the germ and bran are rich sources of choline and betaine; there are almost none in refined flour. That bran also is the source of most of our lignans; the phytochemicals that help prevent breast malignancies. 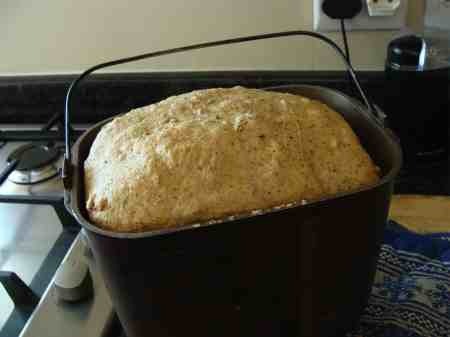 Is it any coincidence that the prevalence has soared since the universal refining of wheat began? Solar power energy might be for you, particularly if you live in a country where the electricity supply is unreliable; Bernard Preston has made some significant mistakes along the way from which you can learn. In particular he has realised that a Mickey Mouse project rarely seems to satisfy and achieve our dreams. Bernard Preston's latest passion is for going green. That means using the energy from the sun. 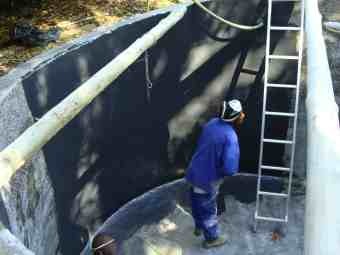 Is it cost effective, or just a pipe-dream for the idle rich? Could we all have panels like these that spend their lives drinking up the sunshine? And providing us with free electricity? Could an average DIY guy or gal go off the grid? 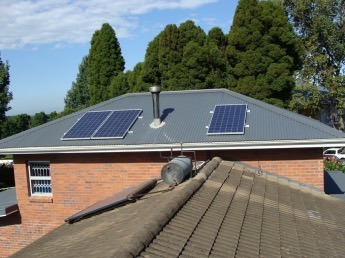 Collecting your own solar power energy is a huge part of our philosophy; it's hugely cost effective. Capturing power from the elements is a central concern of permaculture; climate change from the greenhouse effect of all the carbon dioxide produced from oil and coal is destroying the green planet. Starting seven years ago with a mere 600W of solar panels we have built steadily up to 5.3kW supplying 95% of our electricity needs. Rainy days happily do occur, both the home and garden need it, but the output from the PVs remains strong except in very deep mist which happens occasionally. At a day in the life of solar geek Bernard Preston, he takes you through the mistakes to avoid. 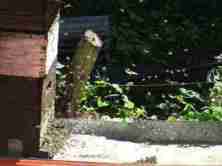 How to start beekeeping is set out by Bernard Preston in this site, but this is about African bees, Apis mellifera scutellata. They are rather different to those from Europe and can be particularly vicious. Rearing bees and producing rich lightly-filtered raw honey for its pollen is another of Bernie's passions. Supermarket honey is generally processed and spoiled; find a small beekeeper in your neighbourhood, or better still keep a hive or two in the garden. Bees are vanishing from the planet at an alarming rate; the pollination of our food sources is even more important than their honey. Backyard permaculture, if you have the space, should include a few hives. The synergy of green living includes excellent pollination for the garden. 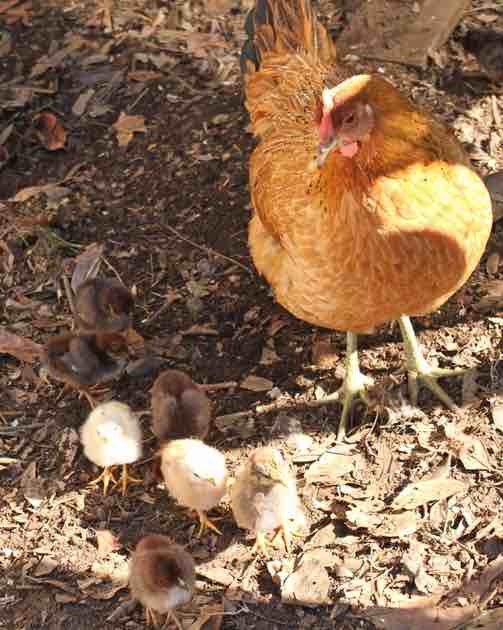 Keeping hens in the organic garden for their free-range eggs and their manure is a huge step forward in backyard permaculture, but also provides challenges; they will attack your vegetables with a vengeance in search of greens and protein. Enter Bernard Preston's chicken tractor design. To become self sufficient we are growing more corn this year and have entered the wonder of worm farms. These critters double in number every month providing plenty of protein for the hens, and make starting a compost pile more effective; they eat their own weight every day. Enjoy! This is the website of greenie and author, Christian and lover of life, Bernard Preston. 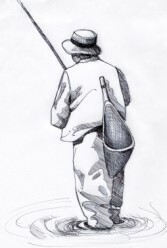 Best medicine in this world of miseries remains a good giggle; just for laughs remains an ever popular page. Consulting a chiropractor is little different to a visit to your own doctor, only the treatment will be quite different; Dr Bernard Preston has a few thoughts for you to ponder. You can expect to have a thorough history of your condition taken, a proper examination done, and an explanation of what's behind chiropractic. We all know that medical doctors in the main prescribe drugs and do surgery. But what would Bernard Preston do if you were to consult him for tingling in arms and hands? Light hearted and easy bedside reading, Bernie's inspirational books will gladden the hearts of all those who simply love the genre started by James Herriot with his veterinarian diaries. Told in humorous vein, Bernard Preston describes the struggle of ordinary people to discover well-being; and how one person strives to provide it. 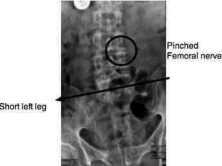 Tired of drugs and the complications of surgery, folk are looking for other answers for biomechanical pain. A day in the life of chiropractor Bernard Preston gives his slant on the profession. He is no fanatic, against neither, and recognizing that they are both an important part of keeping us in fine fettle; yet finding that chiropractors can often do it better for many biomechanical conditions, more safely and in a shorter time. Meet Bernard Preston will give you some background about him. Having started this page with a derogatory commend about medicine, I have to say that recently a surgeon with great skill removed my perforated appendix and probably saved my life; I'm an admirer of good surgery, but less so of pharmacology which has so many side effects. Is it any coincidence that the United States consumes more than fifty percent of the world's prescription drugs, and yet does not lie within the ambit of the forty healthiest nations? Share with him his passion for abundant well-being and expect to reach a vital eighty years with all your marbles intact. Is it inconceivable that one could eagerly look forward to old age and be taking virtually no medication? Chiropractors, too, like medicine, have their excesses; and because of the rhetoric you may be struggling with lower back pain, or swallowing bucketfuls of pills for headaches, and yet reluctant to make an appointment. Here you'll discover the right way to find the doctor of your choice. Not afraid to take the mickey out of medicine, or his colleagues for that matter, he will have you chuckling all the way into your sweet dreams as he paints his word pictures, telling how it is at the coalface. Son of two chiropractors, and his own daughter too, few can tell the inside story of complementary care better, or with more charm. 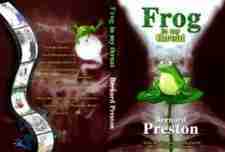 Frog in my throat, his first book, tells of the struggles of the young graduate trying to find his way, but constantly under threat by organized medicine. Preston's second book, Bats in my Belfry, describes how he faces the pressures of chiropractic practice, almost suffering a complete burnout. The titles themselves tell a tale; these journals are light and fascinating. His hobbies and, at his wife's insistence, a proper vacation save the day; and the catharsis of writing his stories of what it's really like on the inside. Practice is filled with irritants, some tiny but others immense; they constantly threaten to rock the boat. Never was this more true, as he recalls in Stones in my Clog, than the seven enormously satisfying years spent in the Netherlands. Along the way, though, be ready to be challenged, for Preston will call you to that higher place where well being is the norm, and the prospects of old age are to be eagerly looked forward to, rather than dreaded; it means a move to choice foods that not only taste better but also are more nutritios; and making in just five minutes his authentic hummus recipe, for example. Says he, don't you want to sit under those trees you once planted and watch your grandchildren grow up? Easy soup recipes to warm the soul have a special place in Bernard Preston's heart, as does his low GI bread which he mixed in only five minutes almost every day from his freshly ground wheat. Foods that lower cholesterol has a pride of place rather than taking nasty statins; the pathophysiology of atherosclerosis is well explained. An Aside: Does your Chiropractor go the extra mile for you? Really care, try hard, you know s/he is doing his/her very best to help maintain a nuggety problem? How about a small gift? A bottle of wine, a card ... or better still a Bernard Preston book! Said wife of one New Jersey chiropractor: I can't predict how fast Tom will read Bats in my Belfry, but he read Frog in my Throat non-stop. He hasn't read anything like that for pleasure, cover to cover, as long as I have known him! 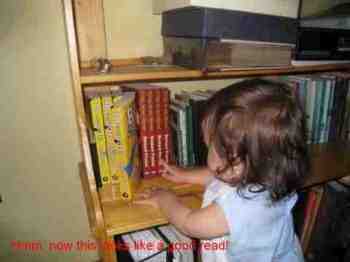 And of course, you could always be a bit sneaky and read it first! Win-Win. Bernard Preston's inspirational books are delightful cameos of incidents and anecdotes taken from the life and work of a chiropractor. Frog in my throat is Bernard Preston's first book of chiropractic short stories from the clinic and his life. Surprised when friends described his letter writing as inspiring, Bernard Preston modestly started a few short stories over a decade ago. Encouraged by the editor of Truth House Publishing to start writing inspirational books, his first tome, Frog in my Throat was published in 2003, soon finding favour with chiropractors in South Africa and with the general public alike. Weaved skilfully, unobtrusively amongst these hilariously funny gems, Preston describes the mystery surrounding the ongoing symptoms of whiplash, convinced that few people escape whiplash untouched, he had to wait nearly thirty years before scientists were able to prove what he already knew: Whiplash leads unerringly to arthritis of the neck. Why mystery? After many years of treating whiplash patients, who have little or no symptoms after the accident, it was indeed a mystery why 10-20 years later their necks are full of arthritis. Finally, his theories were confirmed by research that lead to the discovery of immobilisation arthritis. Setting fixated joints so that they are able to move freely again is what starts the hyaluronic fluid swishing about in the joints, sustaining the hyaline cartilage and reducing the ravages of osteoarthritis. That's Chiropractic. Helping folk avoid the complications of surgery is what chiropractic is all about. The arm pain from a pinched nerve in the neck is one of the most challenging conditions faced at the coalface. Inside Out is a story built out of the words of Palmer about drugs and the pernicious effect they often have. Inside Story is another fine story of the inner workings of the profession, not seen by the outsider. "Most people still have no idea who a chiropractor is, or what s/he does. And medicine has defended its turf very successfully, albeit illegally and immorally, (Wilk vs AMA) often spreading lies and slander about the dangers of chiropractic, whilst in its own back garden ... It's time to put the record straight." Read what his fans have to say at Frog in my Throat reviews. Bats in my belfry is Bernard Preston's second book of chiropractic stories from the clinic. Another three years passed, whilst Bernard Preston continued writing, living to the full, and going about a busy practice. 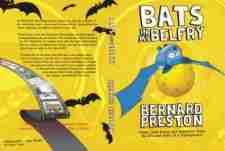 Wanting to reach a wider audience, he chose a publisher in the UK for his second inspirational book, Bats in my Belfry. Go direct to Amazon and download any one of Bernard Preston's five books onto your e-reader. Frog in my Throat is not yet available in e format. Thought: You will change to reading books in an e-format, just like you changed to digital photography, it's just a question of when. Independent research by a German company indicates the Kindle paperlight is the easiest on the eyes of all the readers. Preston's books are beautifully illustrated by Lorraine Harrison. Of Frogs, Bats and now What do tadpoles eat? 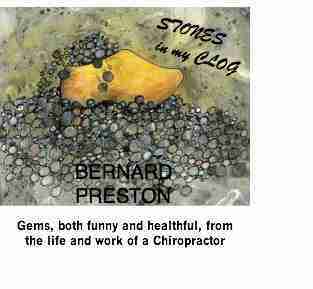 Stones in my clog is Bernard Preston's third book of chiropractic yarns. 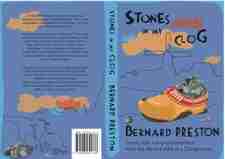 Moving to Holland, the third of Bernard Preston's inspirational books, Stones in my Clog is at last complete. Tracing his chiropractic odyssey through Holland on his bicycle, he inadvertently makes a buffoon of himself on television, after making exciting new discoveries in the rapidly expanding chiropractic galaxy. You will love this third of his inspirational books. Then changed his allegiance to clogs. And now all he does is write blogs!" coined by an elderly favourite aunt. Says Dr Tom Rapp of Bernard Preston's inspirational books: "I’m bleary eyed this am! Your book, Bats in my Belfry, has kept me up half the night! My wife is complaining about you, she can’t ever remember me doing that before. It’s a pot boiler!" A family affair is Bernard Preston's fourth book. Bernard Preston's lonely road of faith is touched on in all of his volumes. Although these inspirational books are not religious in nature, he openly acknowledges that he is a believer. Coward's Castle gives some of his reflections on controversial issues facing the Church Universal. You can contact him if you feel very strongly about his views. Notice board is for current issues that crop up. The latest is the deception of milling companies who are allowed to label their flour as wholemeal provided they haven't removed more than 40% of the goodies; that where the important nutrients are found; next week there'll be something new. Well, it's not just blogs that he's scribbling. 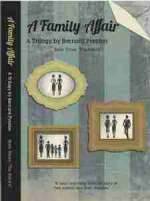 Bernard Preston's fourth title, A Family Affair, is now complete. A totally different kettle of fish, this trilogy is more complex, and in a quite distinct genre. It will certainly titillate and perhaps enrage you, especially if you are religious. You certainly won't put the book down. 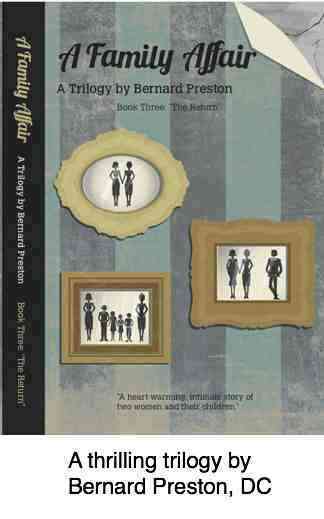 It, too, is available at Amazon in digital format. You can enjoy the opening chapters by clicking on AFA in the navigation bar. It's written as a trilogy and priced right; help him sell a million ebooks. You'll love granny, be perplexed by Janet and Santie, and simply adore their children; but who is the dad? Without any strong sectarian ties, Bernard Preston is a lay minister in the Anglican church, but has for periods of his life worshiped in widely different denominations. In fact, he is strongly against cultism in any form. Says he, I have no doubt that we will one day discover to our horror that we are all heretics, deserving nothing less than being burnt at the stake should correct doctrine be all important. And there are certainly going to be some surprises when we reach the pearly gates as to who has got it right ninety five percent of the time, and which of us have been lingering at sixty for much of our walk of faith. Could it be that the God of love will ask questions rather about much we cared, and how judgmental we were? And where did we rank on the scale of hypocrisy? At times he does indeed share his struggle to find higher ground. In particular that place where, like our lord, we are less judgemental and more tolerant of our fellow heretics. For more about Bernard Preston's journey of faith, scroll down. Life can be very dull unless one is a man or woman of hobbies. For sheer drama, few activities and sports can beat Bernard Preston's first love; but it's only for those who dare. There are several inspirational stories related to gliding in Bats in my belfry. This is a book you will read from the front cover to the end; I promise or you'll get your money back. His longest flight is more than one hundred miles, reaching a height of over eleven thousand feet above sea level; in a very old plywood glider. It's gut wrenching stuff and you can enjoy it in Frog in my Throat. His second best hobby is also about flying but he's on the ground directing affairs. Beekeeping and all the food and beverage associated with raw honey is fascinating stuff. Once or twice a year an evening is spent brewing mead from the gleanings; a goblet of the nectar of the gods and tahini or hummus on homemade bread make a satisfying supper. His latest hobby is going green. On his roof it would appear at first glance that the Martians have landed. But no, photovoltaic panels and a small solar farm is what you'll find. It's a do it yourself project actually for anyone who considers him or herself a handyman. There are few more rewarding things than knowing you are contributing in your small way to preserving a habitable planet for your grandchildren. That means growing a few plants like green beans that will sustain honey bees and keep your family with less cancer and colon problems.